Borba - Joelle Delbourgo Associates, Inc.
Dr. Michele Borba is a globally-recognized educational psychologist and parenting, bullying and character expert whose aim is to strengthen children’s empathy and resilience, and break the cycle of youth violence. She has delivered keynotes and workshops to over 1,000,000 participants on 5 continents and authored 24 books translated into 14 languages. 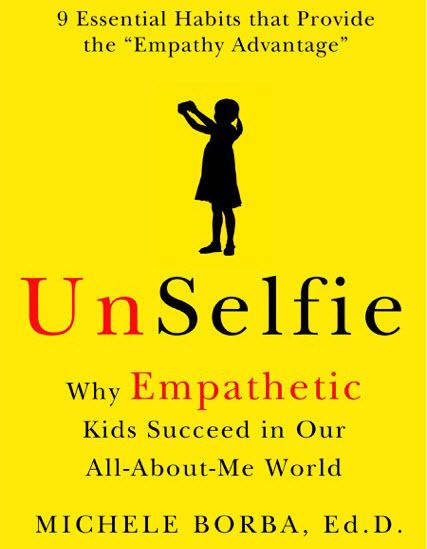 Her most recent book is UnSelfie: Why Empathetic Kids Succeed in Our All About Me World (Touchstone/Simon & Schuster, June 2016). A sought-after motivational speaker, Michele Borba addresses educators and parents worldwide, and has served as an educational consultant to hundreds of schools and organizations. Her proposal, “Ending School Violence and Student Bullying” (SB 1667) was signed into California law in 2002. Borba is an NBC contributor and appeared 135 times on the Today Show as well as Dateline, Anderson Cooper, Dr. Phil, Dr. Oz, The View, NBC Nightly News,The Early Show, CNN and others. Borba is an in-demand motivational speaker and workshop presenter. She is a former classroom teacher and mom of three. Borba’s strong and extensive backlist of books include The Big Book of Parenting Solutions, Nobody Likes Me, Everybody Hates Me! , No More Misbehavin’, 38 Difficult Behaviors and How to Stop Them, Don’t Give Me that Attitude!, Building Moral Intelligence (cited by Publishers’ Weekly as “among the most noteworthy of 2001”) and Parents Do Make A Difference (selected by Child Magazine as “Outstanding Parenting Book of 1999”).